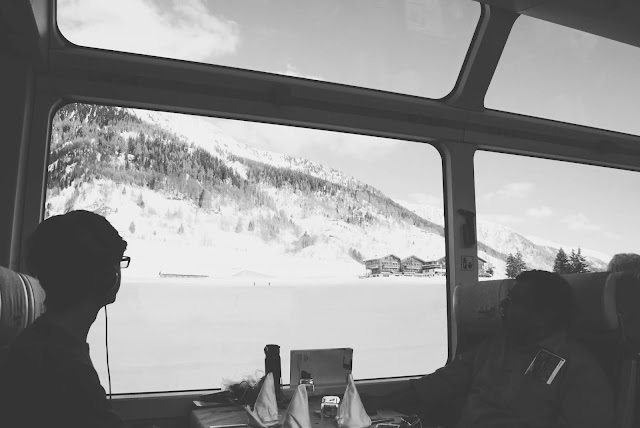 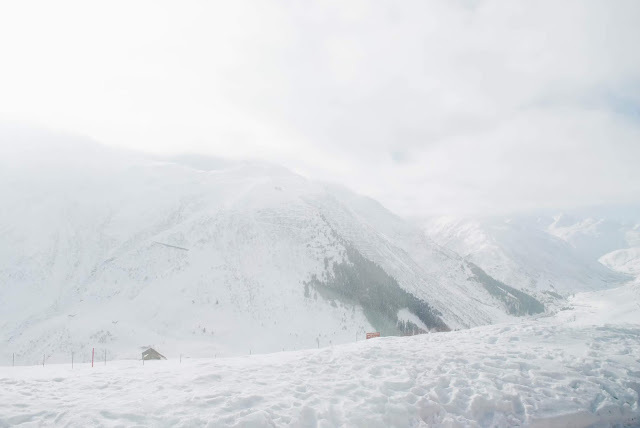 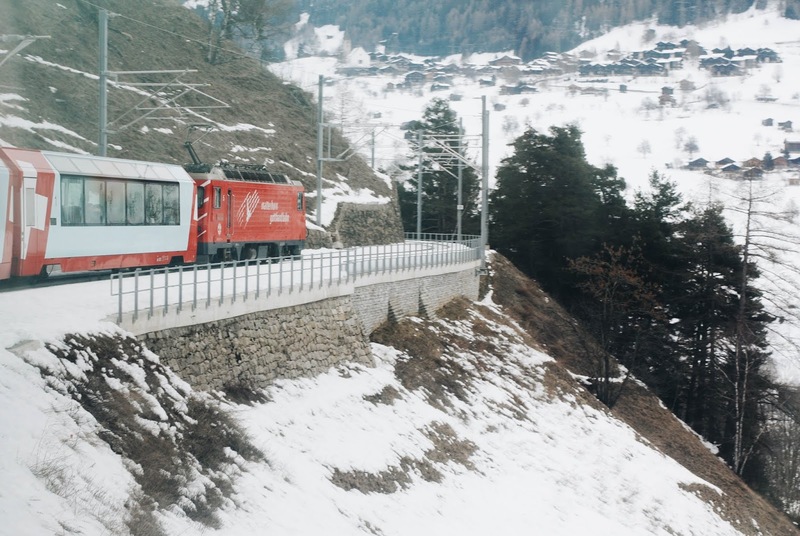 we are the browns: switzerland, part iii | aboard the glacier express. 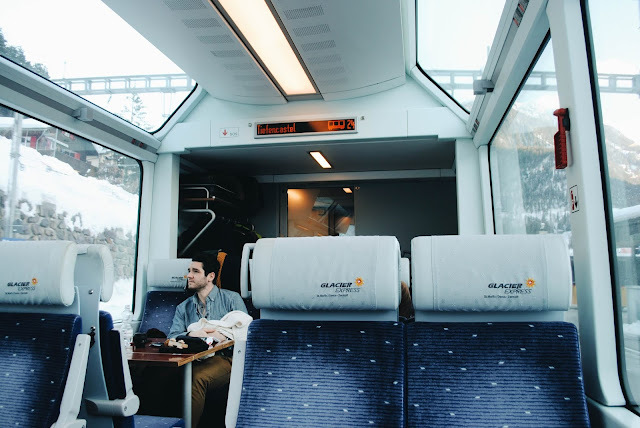 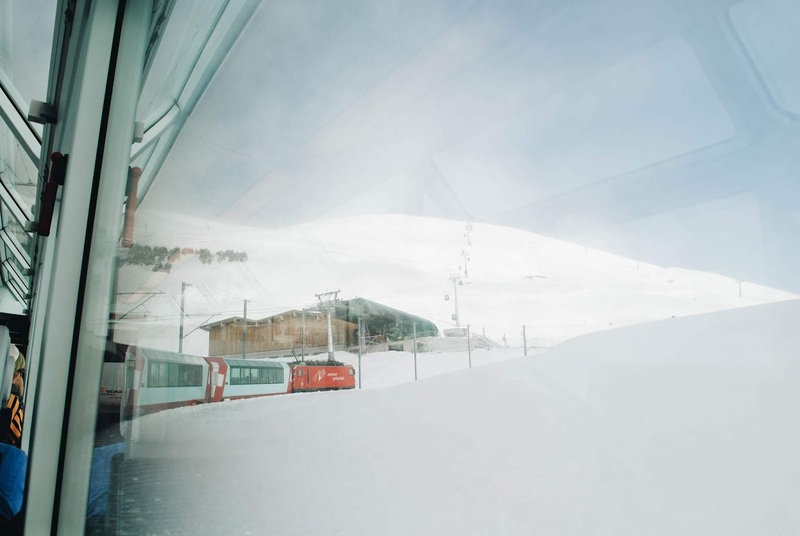 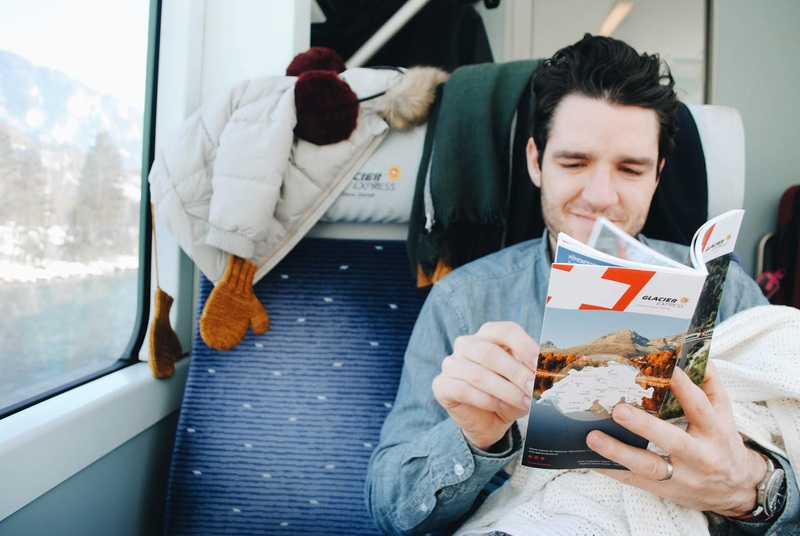 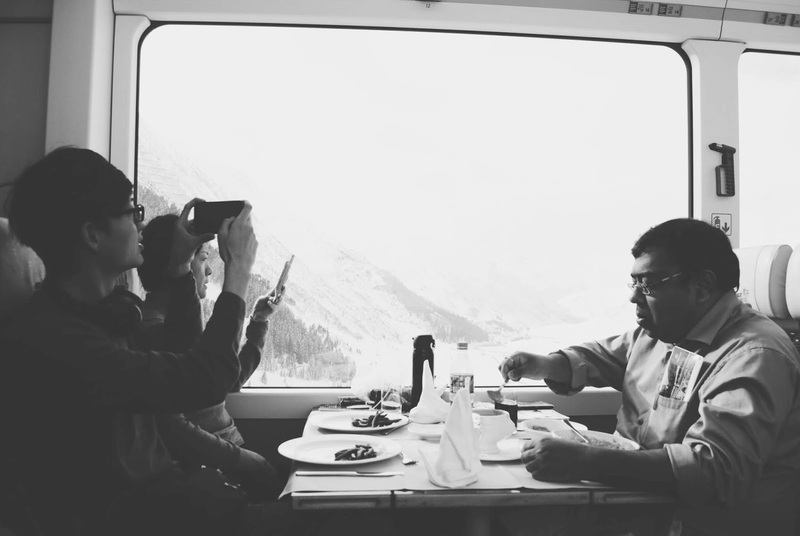 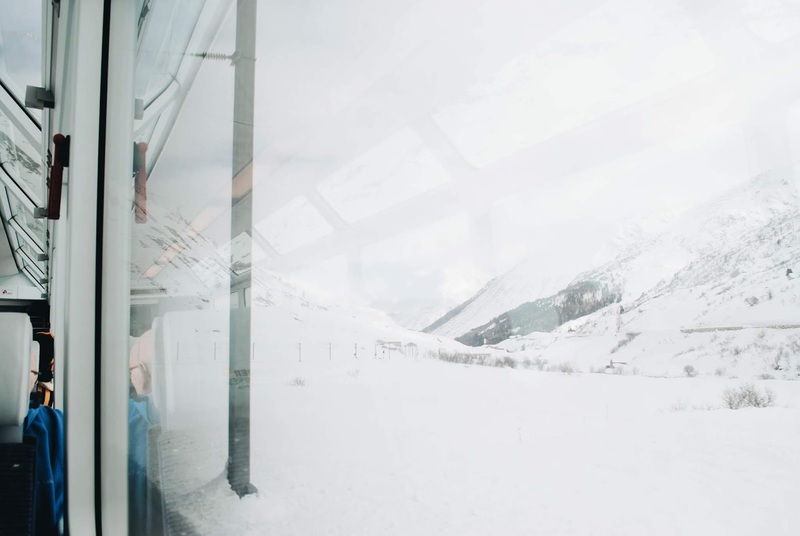 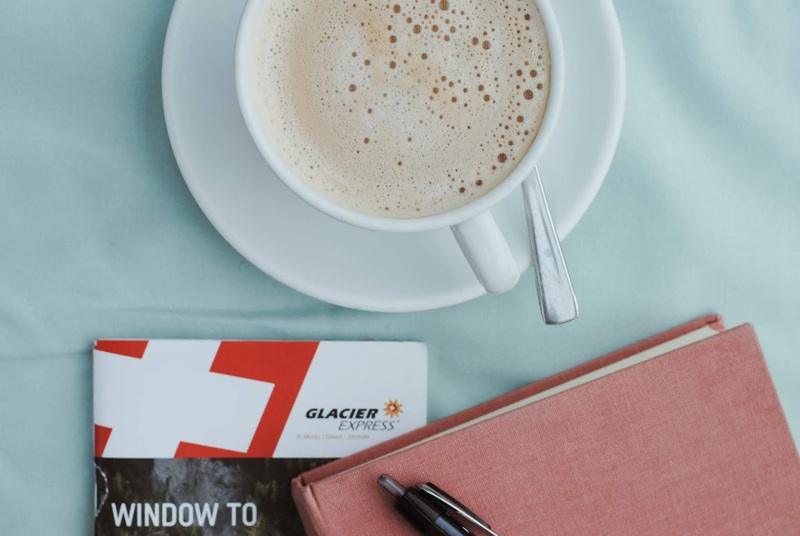 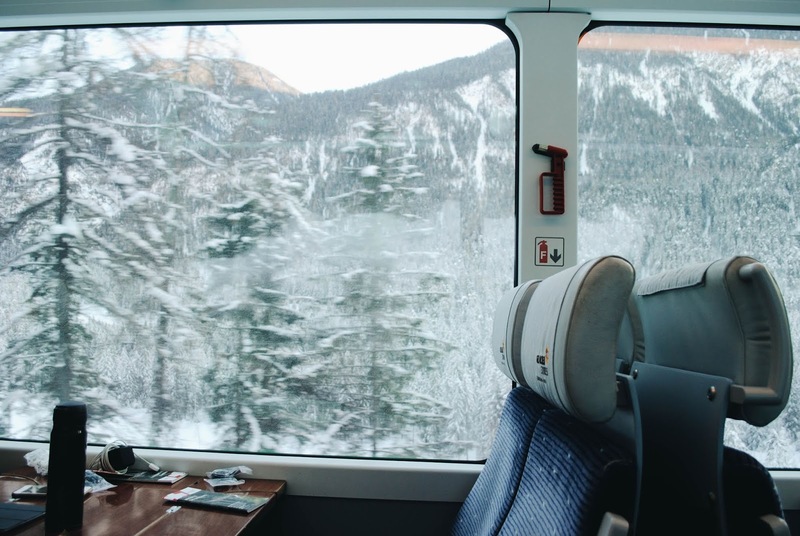 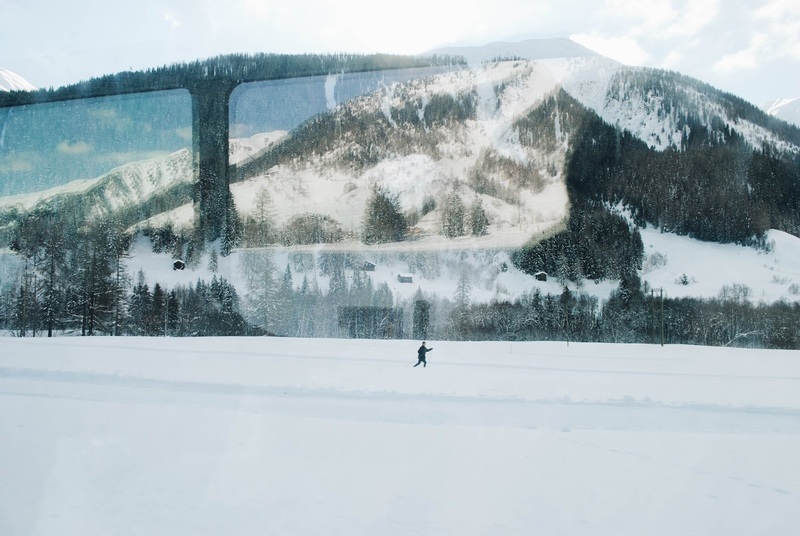 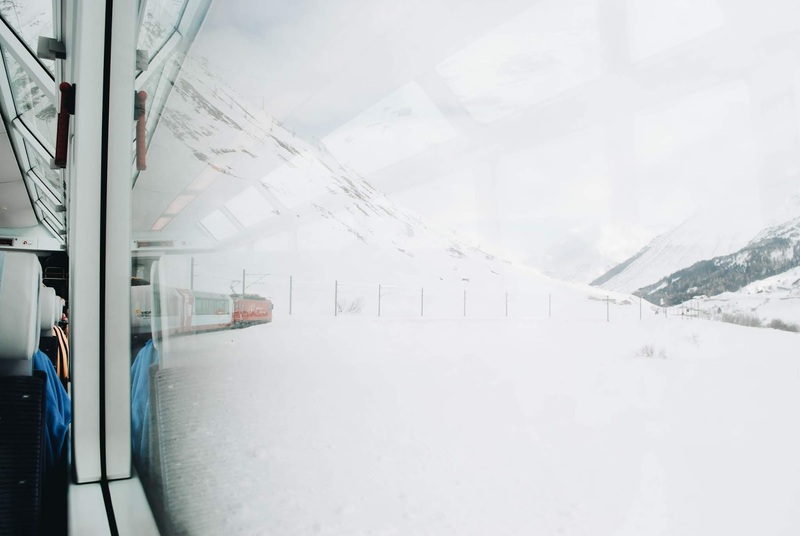 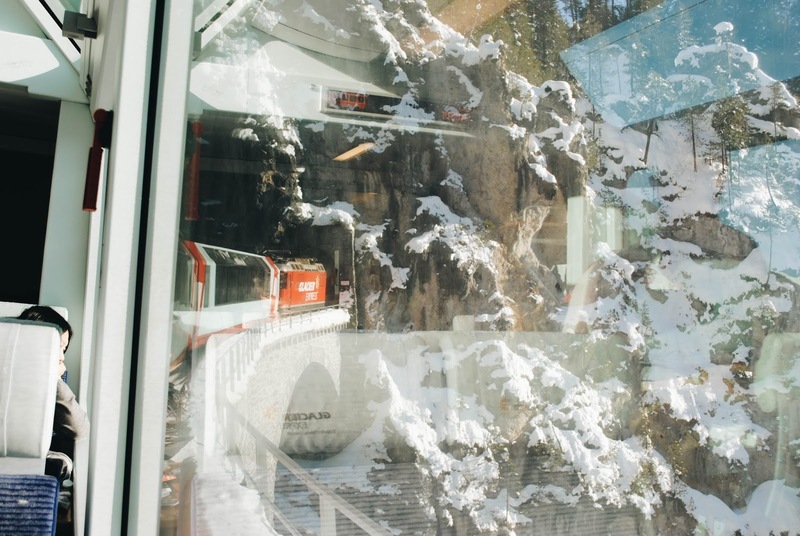 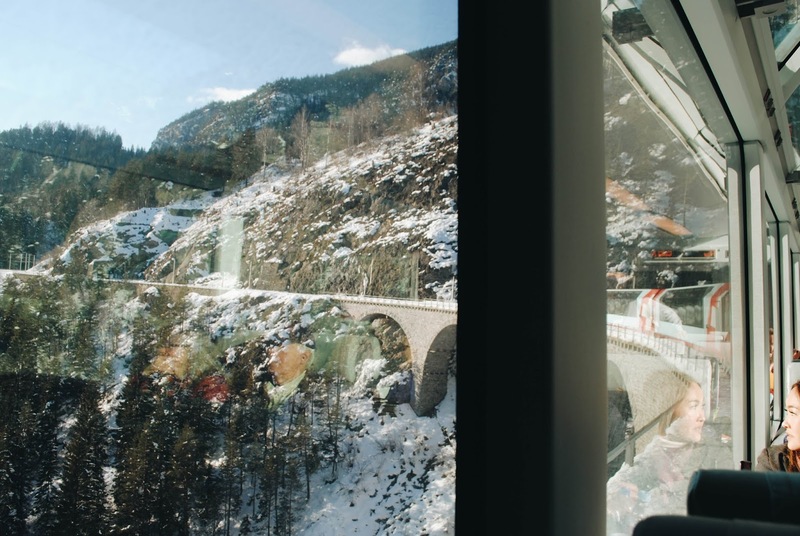 switzerland, part iii | aboard the glacier express. -- the root of the root of our dream for this trip. 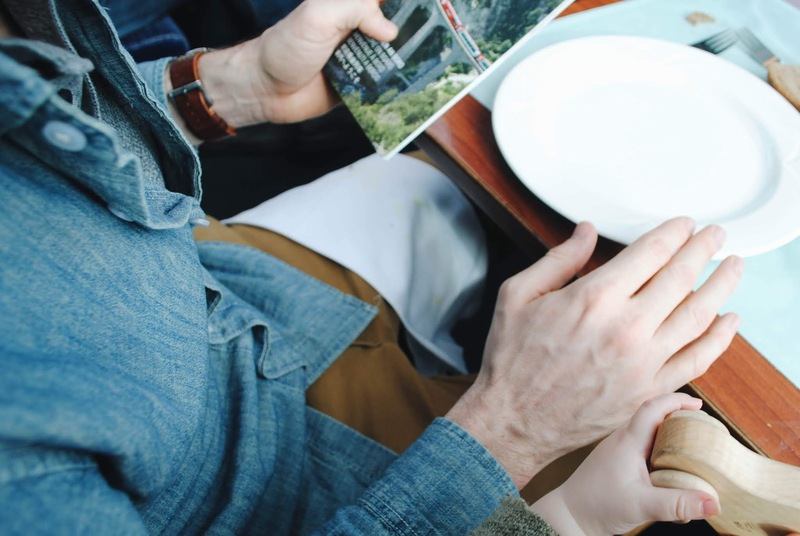 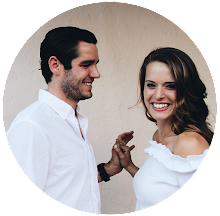 when we were first married, we started writing together in what we call our hoping book. pages on pages brim with our own handwriting: baby names, travel dreams, wishes for a someday house, desires for the kind of family we want to be. 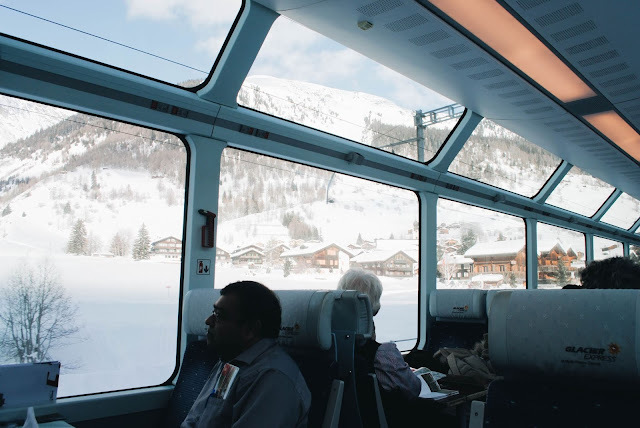 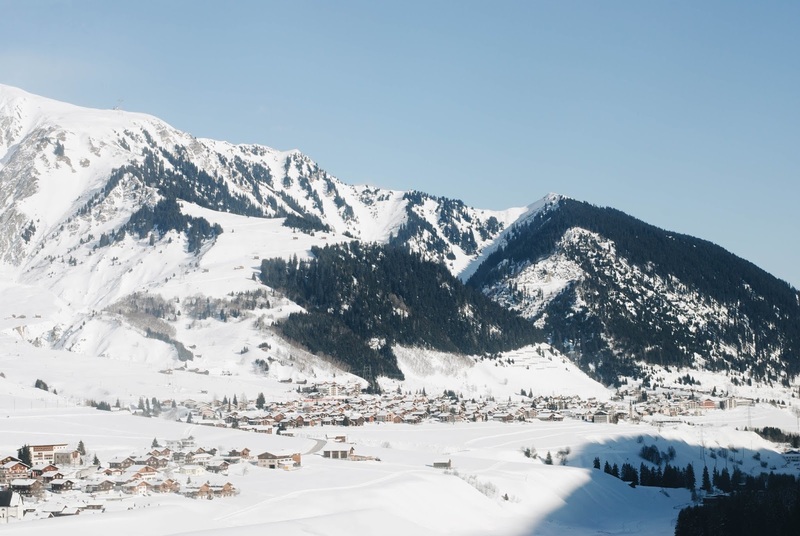 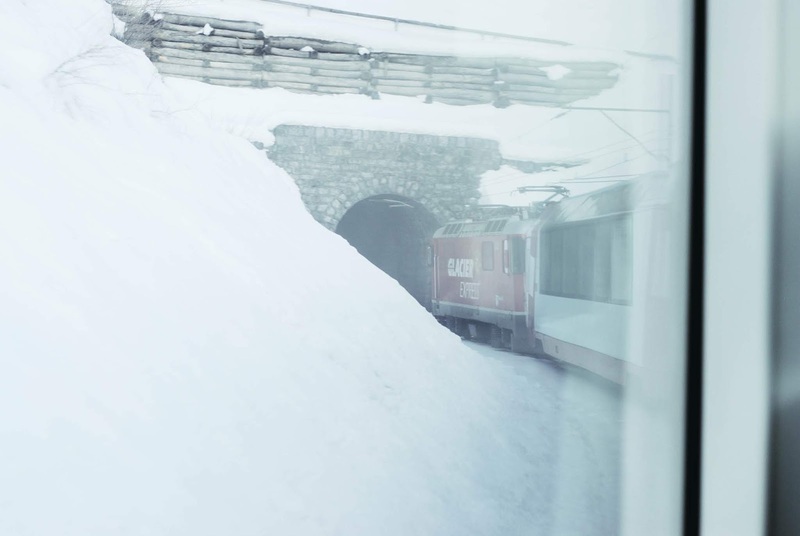 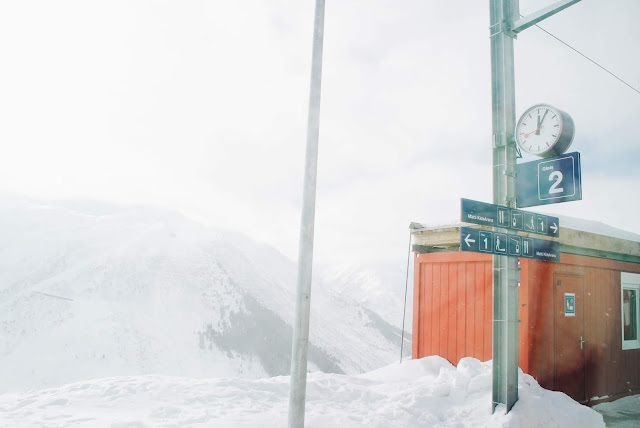 a train ride through the swiss alps in winter is tiptop on that list of places. 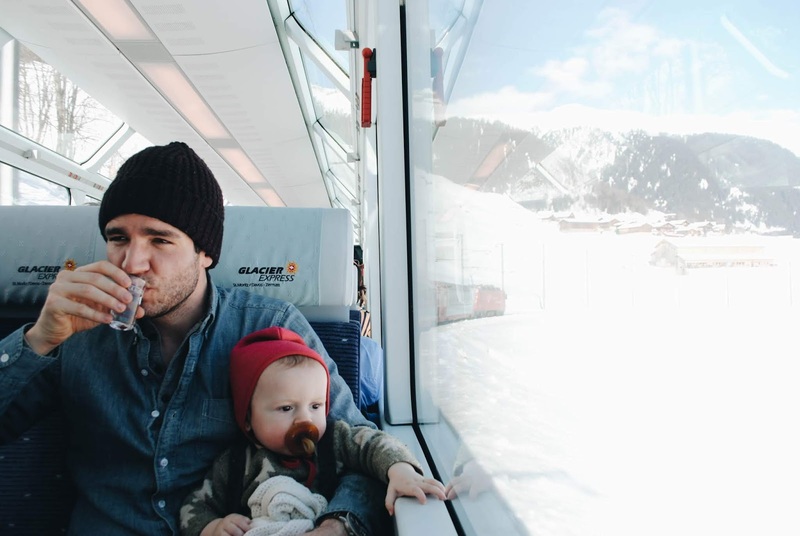 i don't think either of us drew a lungful of breath in the *nineteen minutes* that stretched between the moment we first woke until our train pulled away from the station. 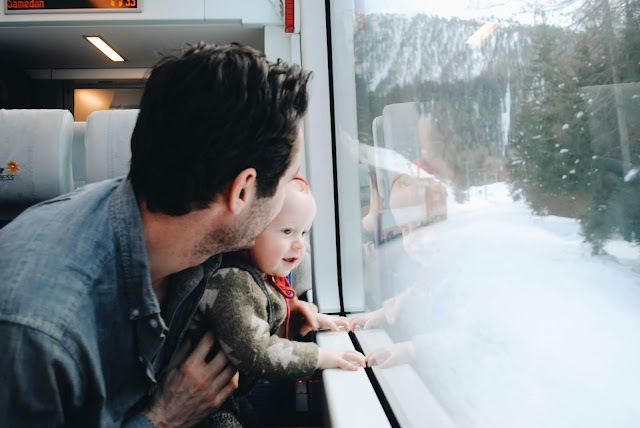 but we made it! 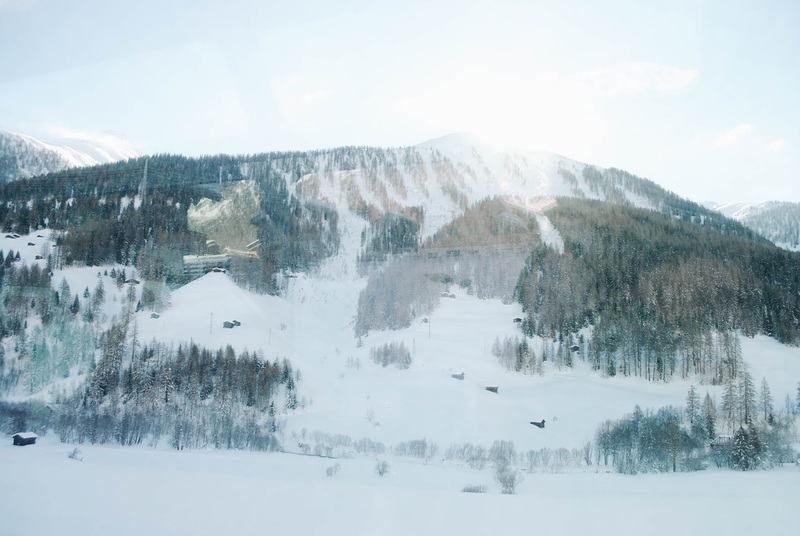 and with all of our belongings! and we are still laughing about it, these weeks later. 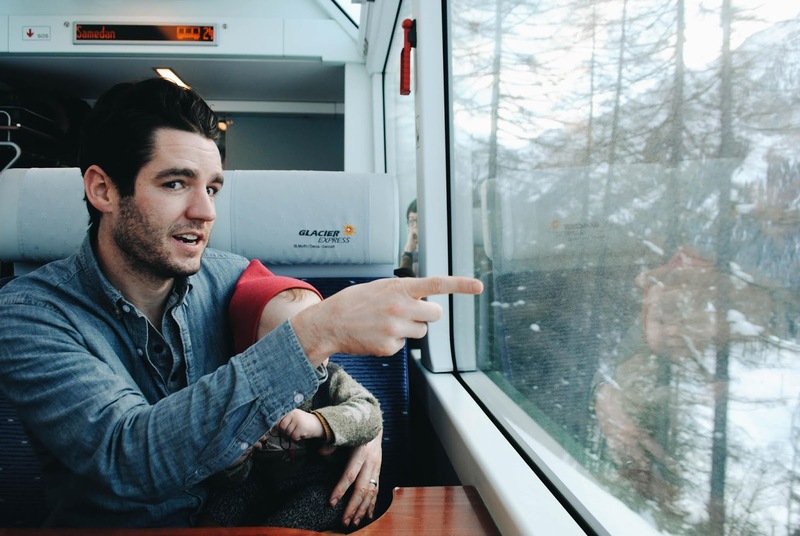 our boy is such a good traveler. 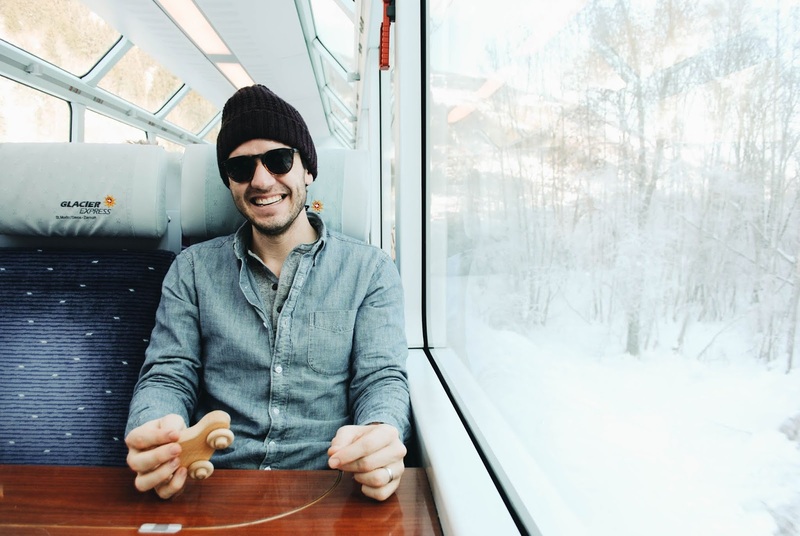 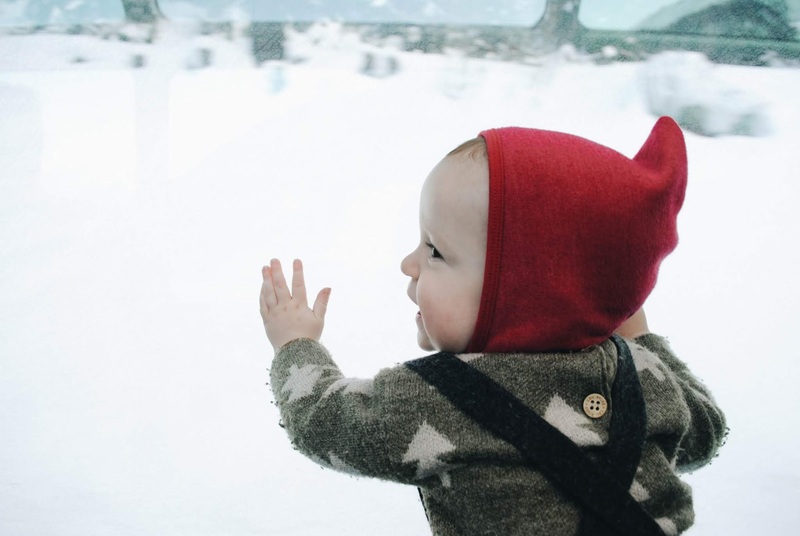 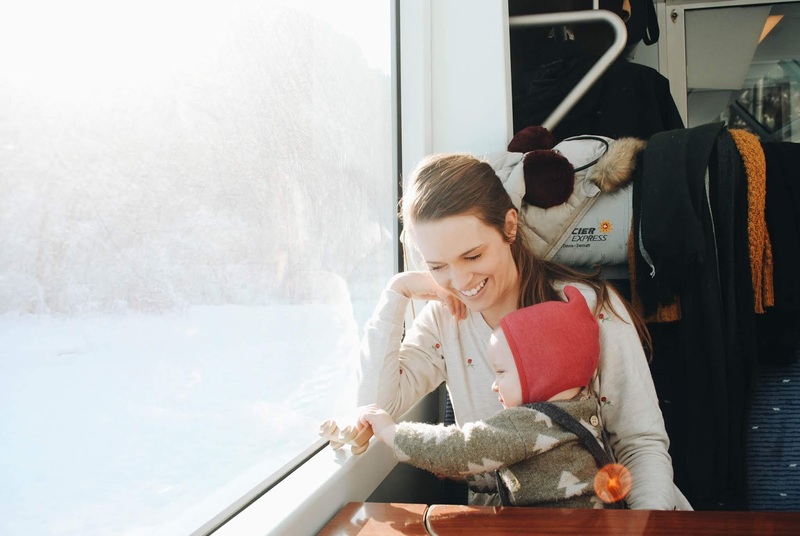 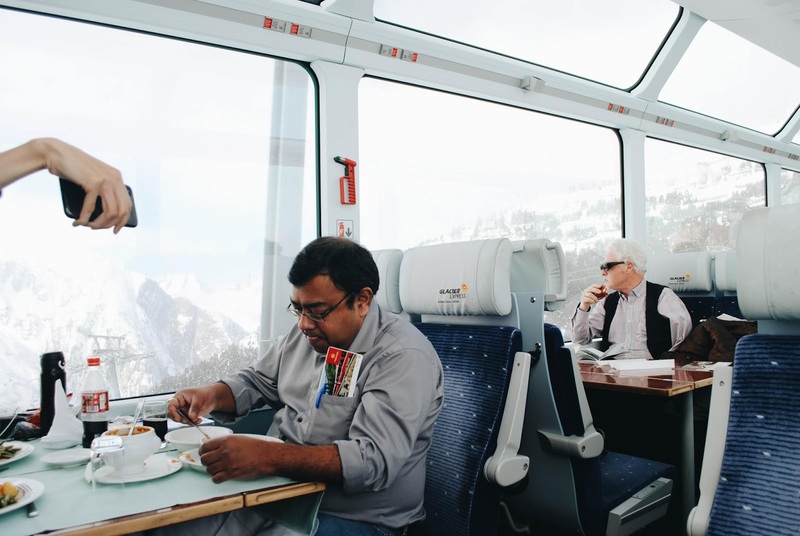 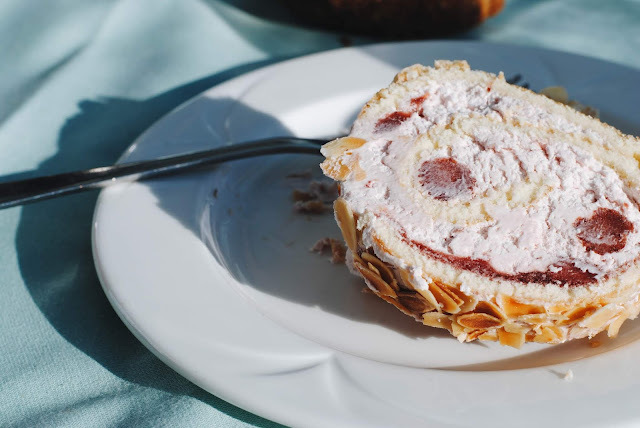 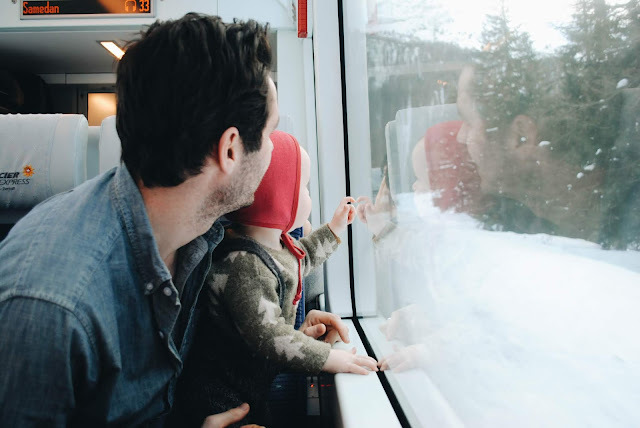 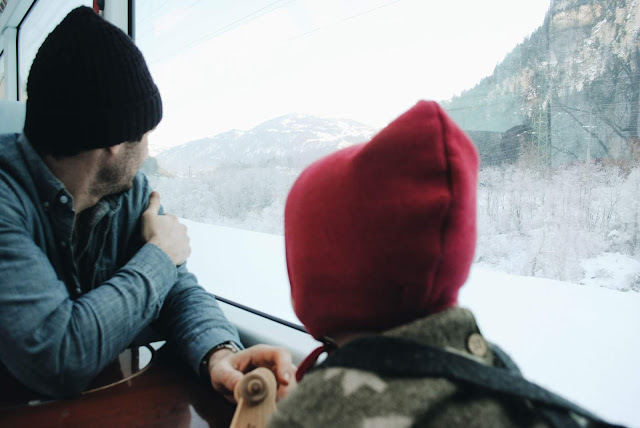 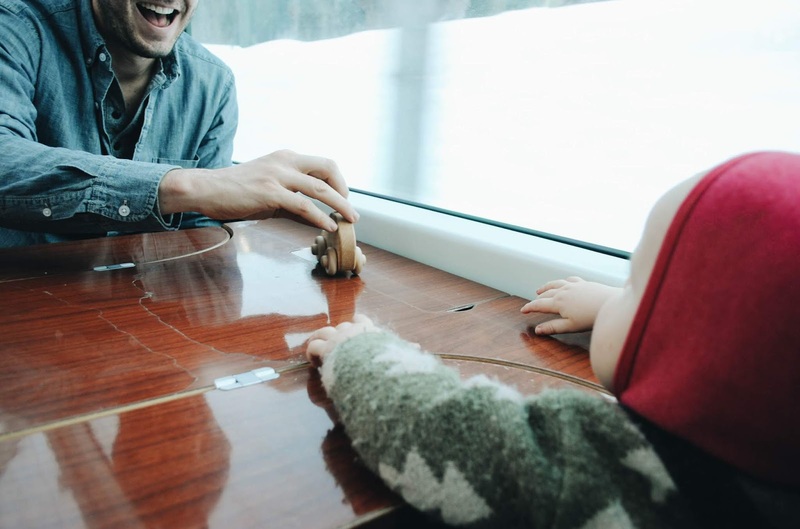 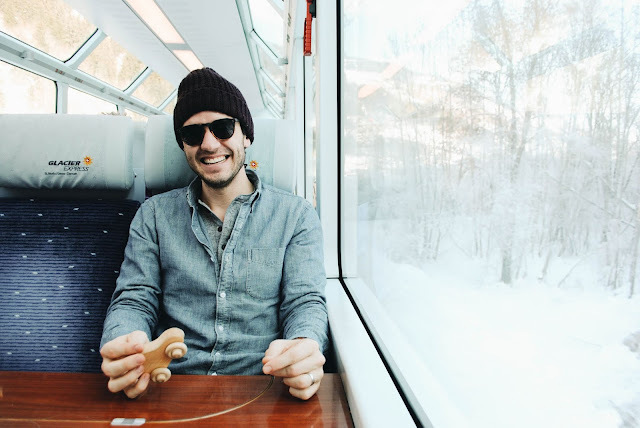 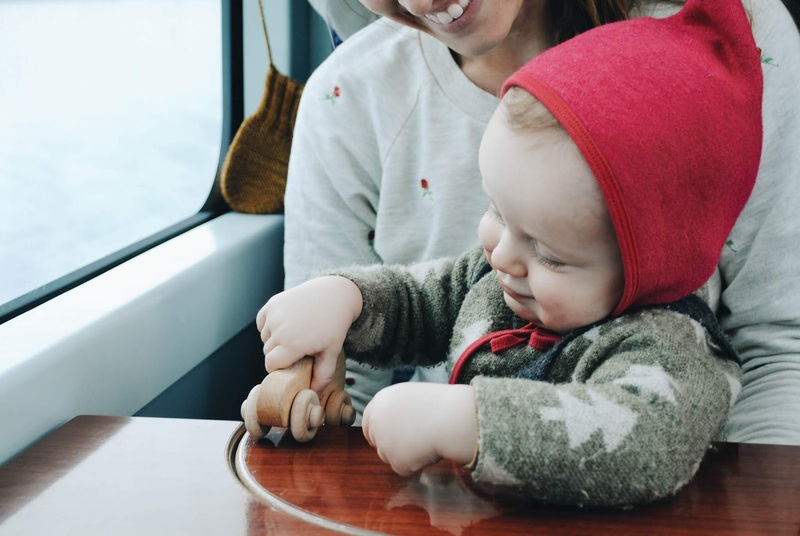 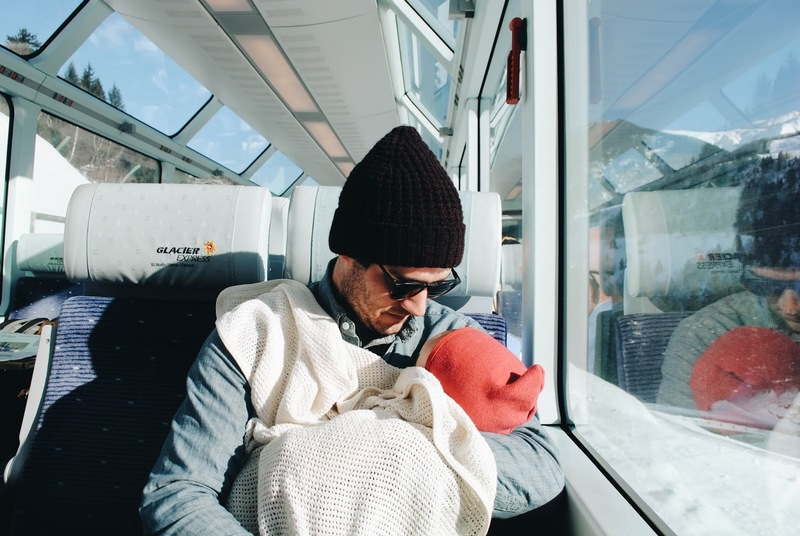 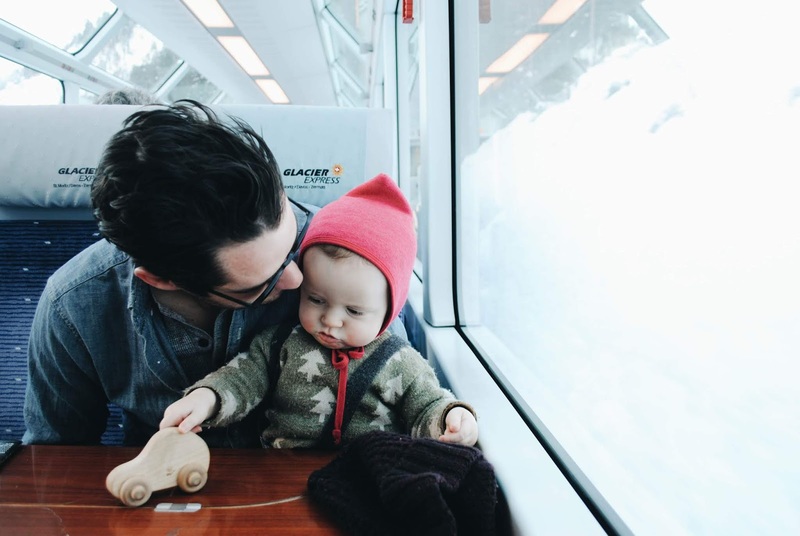 for the eight hour ride between zermatt and st. moritz, our apple-red glacier express train wound over and through the snowy swiss alps, and he merrily passed the time making friends from all over, driving his little wooden car, sharing snacks and lunch, and snoozing in our arms. 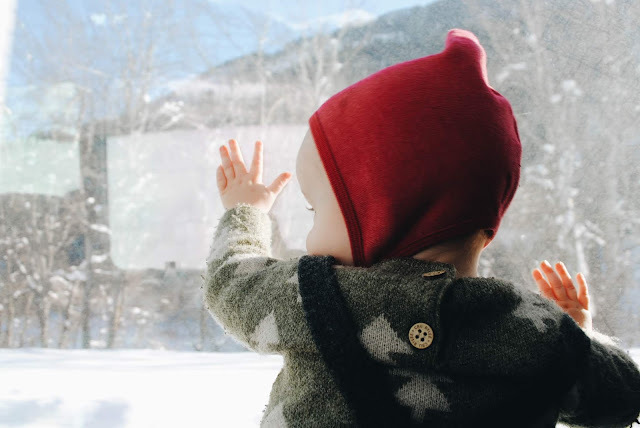 mostly, though, he perched in the window and watched switzerland roll by. 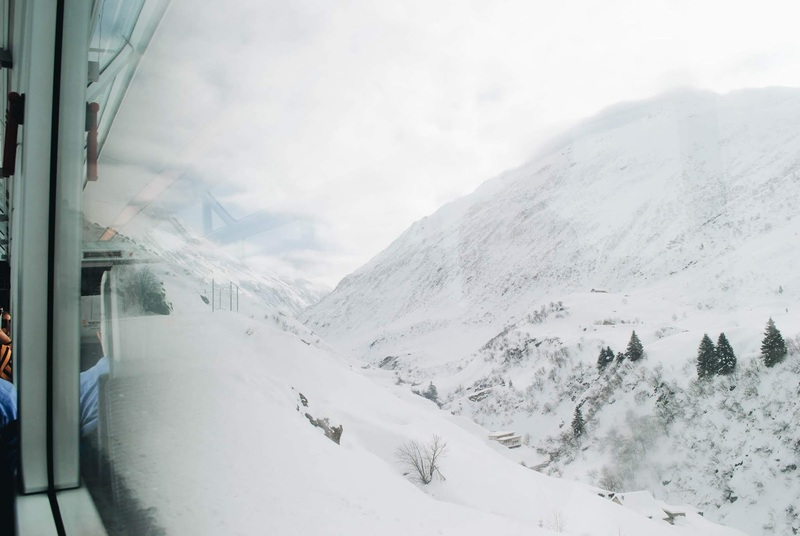 the train itself insisted: the carriage was entirely panoramic, with sides and even ceilings made of glass, all the better for gawking. we crossed 291 bridges and 91 tunnels as we passed uncountable storybook villages, frozen rivers, cross-country skiers, evergreen forests, and vistas blanketed in white. 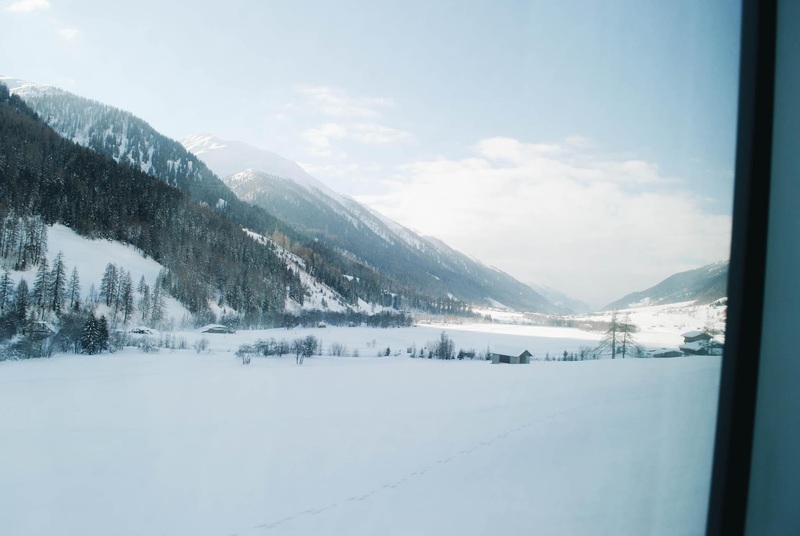 sometimes there was sun, butter-colored and hazy. 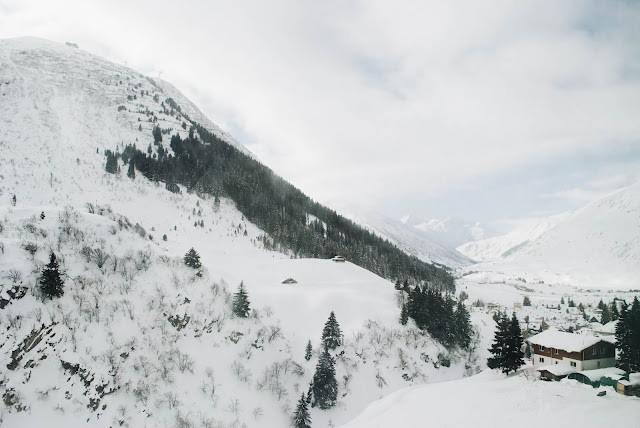 mostly there was snow, thick and deep and brighter-than-bright. 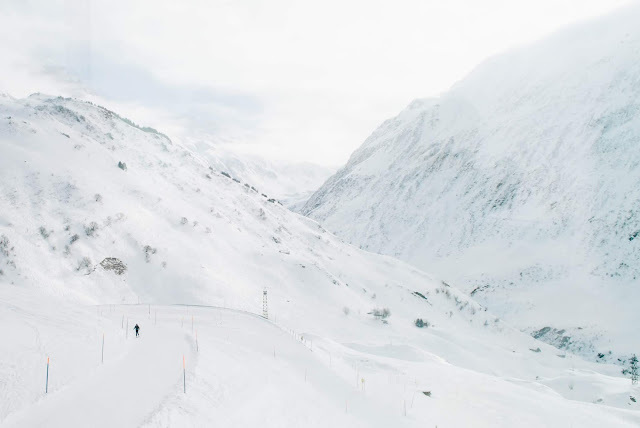 always there was such a lot to see, for miles and miles and miles.